Eyelash Extensions increase the length and volume of your natural lashes by adding individual lightweight lash extensions to the natural lash. This is a pain-free procedure, weightless on your eyes, and resistant to showering, perspiration, exercise, tears and swimming. The lash extensions are semi-permanent and can last for up to 12 weeks, and semi-indefinitely with regular fills. Fill frequency depends on the growth cycle of your natural lashes. They drop out naturally with your own eyelashes. This outstanding innovation in lashes provides a luxuriously rich and dramatic effect, and looks identical to natural human eyelashes. The increasing trend of semi-permanent eyelash extensions has become a must have in the world of professional beauty! There are many different types of eyelash extensions, Silk, Microfibre and natural Human hair. Our first choice are Silk lashes which are by far the healthiest and safest for your own eyelashes, as they are lightweight therefore inflicting very little stress on your own eyelash and are by far the most comfortable to wear. Silk lashes are natural looking and with the correct home care will not damage your own eyelashes at all. They range in length from short (8mm) to long (12mm) giving you the option to choose from an ultra-natural looking set of lashes to a WOW long and Bambi/Kim Kardashian look. 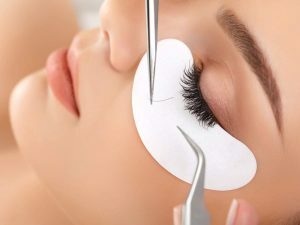 Many salons use Microfibre Eyelash extensions. These extensions are very thick, hard and can make your own lashes very thin and weak. Microfibre lashes are a lot heavier than silk lashes and can cause your own lashes to weaken, break and fall out. 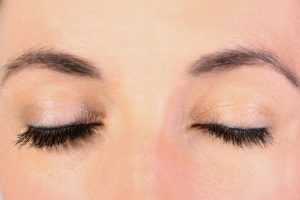 The correct care for eyelash extensions should be considered when doing extensions. Moisturisers, certain make up with oils and being rough or fiddling with the lashes and extensions can cause them to fall out faster than normal. Your own lashes do fall out naturally, so it is recommended to do a fill every two to three weeks. A specialised non oily make-up remover. Extra Strength Coating Sealer, acts like a conditioner, keeping your extensions, the glue and your own eyelashes soft. Rapid Lash serum is used to enhance the growth and strength of your own eyelashes. Maintaining healthy long lashes is a must for eyelash extensions. Call to schedule your appointment with a certified lash extension expert. We have introduced RapidLash, not only to enhance the condition and health of the natural lash for those doing Eyelash Extensions, but for those who would like to rejuvenate and fortify their natural delicate lashes. 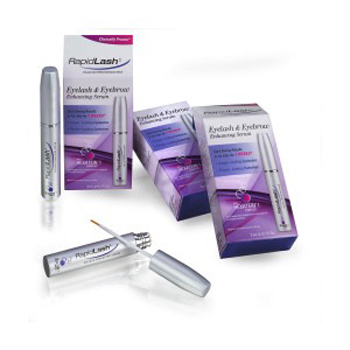 RapidLash offers fast results that help turn brittle, short or sparse lashes into fuller, thicker looking lashes and brows. Copyright © 2019 Flawless Faces . All rights reserved.